Join the LACCD Black Faculty & Staff Association in one of its biggest Black History Month culminating highlights of the year! reserve your spot now for the 3rd Annual African American Heritage Bus Tour of Los Angeles on Friday, February 27, 2016. The bus will leave from LATTC at 8 a.m. and return at 4 p.m. Going “Black” in Time… Discover the 1781 African connection to the founding of Los Angeles; travel to the Bridget “Biddy” Mason Memorial and learn the history about the first African-American—a former slave—to purchase land in Los Angeles; learn about the history of t he Watts Tower; view the Mother of Humanity sculpture and tour the Civil Rights Museum; learn about the old school black entertainers like Louise Beavers, Pearl Bailey, Hattie McDaniels (first African American to win an Oscar), Earl Grant (jazz organist), and Ray Charles, of “Sugar Hill” in the 1940s; visit the historic mural in the oldest black church in Los Angeles, First AME; and more! Leading this journey is Tour Director, Dr. Toni-Mokjaetji Humber, retired professor of ethnic and women’s studies at Cal Poly Pomona and member of Our Authors Study Club, Inc., the Los Angeles chapter of the Association for the Study of African American Life and History, Inc., established in 1915 by Carter G. Woodson, founder of Black History Month. The cost of the trip is $10 for BFSA members and $20 for non-BFSA members. There will be limited free spaces for students. There will be stops in Leimert Park Village, so guests should bring spending money for shops such as Eso Won Bookstore or Laura Hendrix’s Gallery Plus. There will also be a lunch stop at Dulan’s on Crenshaw for the soul food buffet for $15. RSVP with Toni Johnson at x 7111 or johnsotn@lattc.edu. Speak to your Professional Development Coordinator for information about flex credit for this event. Reserve your space now! Click the following link to download a flyer: SAVE THE DATE – Black History Bus Tour of LA 2016. Check out pictures from last year: https://flic.kr/s/aHskg2JH1T. As I looked around the room, I was proud to see these new, yet familiar faces. As with tradition, we blessed our food and broke bread to open this gathering; and I knew it would be a wonderful semester. The first Umoja meeting of the year demonstrated the deep bond from students to faculty and from faculty to students as everyone gathered together in unity committed to the academic success, personal growth and self-actualization of our students. It was a celebration of the hard work that had transpired in the past years as well as the anticipation of what’s to come this year. 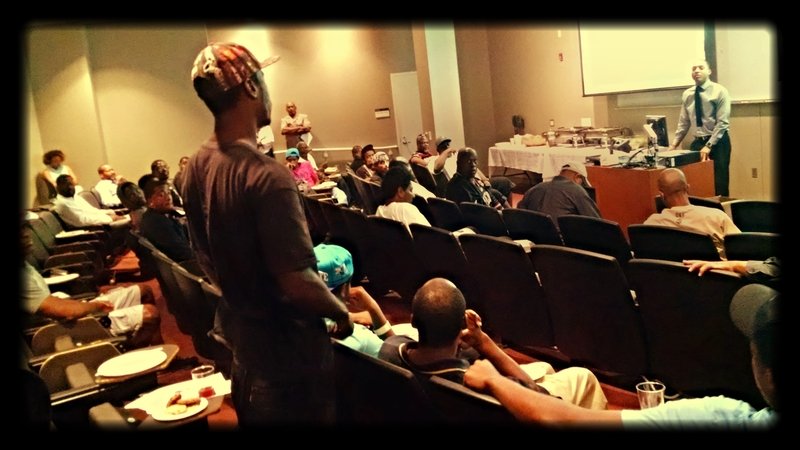 It was very moving to see African American males, passionate and energized, come to be part of the Umoja community, stand up to introduce themselves, share their personal stories, and support each other through words of encouragement. Through the Sankofa model of reaching back and connecting, this year’s Umoja students will partner with the new campus club, National Society of Black Engineers (NSBE), as well as the LACCD Black Faculty and Staff Association (BFSA) to empower students to pursue and never give up on their dreams, and to push forward while always remembering the past. As this theme sets the tone for the coming year, Umoja has a variety of cultural events and educational activities planned. They just returned from the annual rededication event of Colonel Allen Allensworth State Historic Park, the first city in California founded by African Americans. It was a celebration of the renewed commitment to the park and its symbolic representation of self determination, educational success and economic development. In addition to the cultural events, there are also a series of educational workshops that will be taking place as well. The goal is to create a culture of reading and academic success, so students will take part in study skills, reading, writing, and math workshops throughout the year. Through the power of community, unity, and the Each One Teach One model, LA Trade-Tech’s Umoja community plans to increase its cohort of students as well as improve retention through empowering and uplifting students. 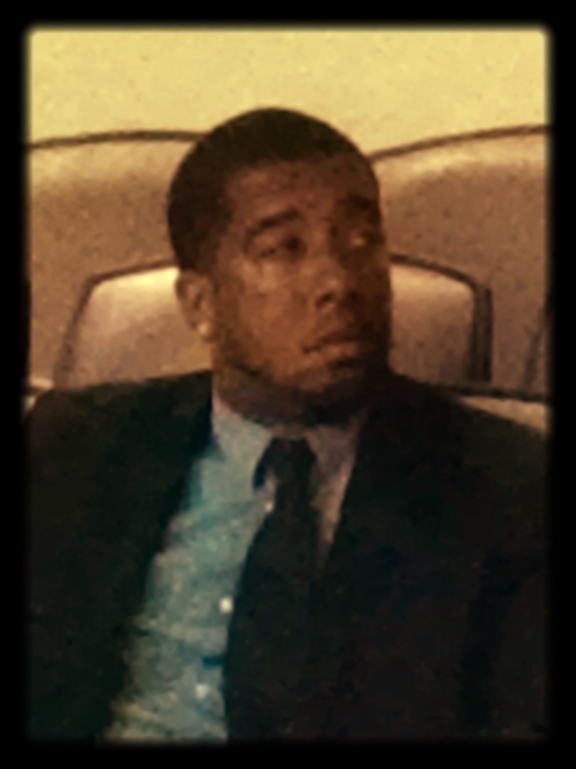 New coordinator, Jeremy Jackson, brings valuable tangible experience to his new position; so it is going to be a fabulous year, and it’s already evident that the sky is the limit. In the words of those who have come before us, might I remind us all to “keep your eyes on the prize.” At Los Angeles Trade-Technical College, the Umoja legacy continues and will be the pathway to ensuring that African American students attain the prize of academic success. The 7.0 magnitude earthquake that hit Haiti in January 2010 destroyed many structures, including entire hospitals and other medical facilities. Since then, some fires that started were simply left to burn out due to lack of resources. Coordinated by Fire Capt. 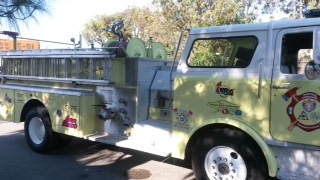 Jonathan Bowers of the Los Angeles County Stentorians, a chapter of the International Association of Black Professional Firefighters, organized an effort to provide the demolished country with a fire truck as well as with the necessary training to operate it. In September 2012, the Compton Fire Department donated a fire truck to Carrefour, a residential neighborhood in Haiti’s capital, Port-au-Prince. To get it ready, the truck was brought to Los Angeles Trade-Technical College for refurbishment through the college’s automotive repair program. After nearly 2 years of students providing the hands-on labor to restore the truck, it is ready to be dedicated and sent to Haiti. The Los Angeles Trade-Technical Foundation has coordinated an official unveiling ceremony to take place on Tuesday, October 13, 2015 at 11:30 a.m. on the Trade Tech campus. The fire engine will have lights on and sirens going near the North Event Tent. At 11:45 a.m., the formal dedication ceremony and presentations will occur in the same location. At 12:15 there will be a reception at Magnolia Hall atrium. Representatives from the Haitian Consulate and Department of Defense will be present, along with elected officials; Los Angeles Trade-Technical College faculty, staff, and administration; students from the Transportation’s Collision and Repair Program; major suppliers including NAPA Auto Parts; and of course, fire fighters representing Los Angeles City, County, and Compton Fire Departments. For more information, visit http://foundation.lattc.edu. 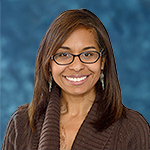 On Thursday, September 17, 2015 at 3:00 p.m., the Los Angeles Community Colleges District Black Faculty & Staff Association will have a reception for the new LACCD Trustee, Sydney Kamlager. For a flyer, please click here. Sydney K. Kamlager was elected to the Board of Trustees in March of 2015. She is currently District Director for State Senator Holly J. Mitchell (D-30). Ms. Kamlager is responsible for the daily and strategic operations of Sen. Mitchell’s district office, including legislative and constituent initiatives, communications and programming. Previously, she was Director of External Affairs for Crystal Stairs, a child care development agency where she created Community Voices, a parent advocacy group that trained parent leaders across Los Angeles and raised the visibility of child care as a critical issue for working families and local economies. She has also served as Legislative Director at Employer’s Group, a human resource management firm, and Development Director for Cieluna, an entertainment production company. She began her professional career at the Social and Public Art Resource Center, a local nonprofit art institution. Overall, Ms. Kamlager has spent close to 20 years working in the nonprofit, entertainment and policy sectors. She has also taught at California State University, Los Angeles, and has spoken before local, national and international audiences on education and ECE issues, economic development, the arts, environmental justice, criminal justice reform, and other issues that impact society. Ms. Kamlager also serves on the Board of Directors for The Unusual Suspects and is a Commissioner on the Los Angeles County Commission on Children and Families. She serves on the statewide African-American Outreach Taskforce for Covered California, the Southern Los Angeles Patient Navigation and Wellness Center Advisory Committee and is on the Steering Committee for KOREH Los Angeles, a children’s literacy program at the Jewish Federation of Greater L.A.
Ms. Kamlager graduated from the University of Southern California and Carnegie Mellon University. She is a member of Zeta Phi Beta, Sorority Inc., and lives in Crenshaw Manor. Clarnetta Madden’s original objective was to obtain her Associate Degree (AA-T) and transfer to a California State University for the fall 2015 semester. However, in March, her professor at Norco College, Raul Madrid, informed the class about a new Historically Black College and University (HBCU) Guarantee Transfer Program for California Community College students. 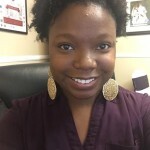 As a full-time college student and native of California, Clarnetta had an interest in transferring to HBCUs because of their rich histories and supportive environments. After talking with her professor and getting some recommendations from the HBCU Grant Project Director and Counselor, Elaine Moore, Clarnetta researched the nine HBCU partner schools and applied to four. With a GPA above a 3.0, Clarnetta had no problem qualifying for the new transfer guarantee program. After some extensive research, Clarnetta decided on Tuskegee University. “I selected Tuskegee because of their strong business program and their high graduation rate” Clarnetta explained. Clarnetta will begin her junior year this fall at Tuskegee University. Although expressing some nervousness about leaving family and adjusting to the weather, she feels that she is ready for the new experience. “I am looking forward to interacting with different cultures, people and environments that will help prepare me for the future,” Clarnetta stated. Her goal is to become an accountant and entrepreneur. Clarnetta is the first student to take advantage of the new HBCU Transfer Guarantee Project that is funded by the California Community College Chancellor’s Office. Under this initiative, students are guaranteed admissions as juniors with an Associate Transfer degree or with 30 or more University of California or California State University units and a 2.5 grade point average. Students will also be given priority consideration for housing and scholarships with a 3.2 or higher grade point average. For more information please visit www.cccco.edu/hbcutransfer. Long Beach City College plans to hire 27 new faculty members and increase the assignments of dozens of staff positions that were previously reduced as a result of the recession. The College will spend $3.6 million to hire new faculty and increase the assignments for many staff members whose jobs had been reduced, LBCC President Eloy Ortiz Oakley said. During the recession, the assignments of some staff members were cut from 12 to 10 months a year as a cost-saving measure to avoid additional layoffs. The 27 new faculty positions, Oakley noted, comes on the heels of LBCC hiring 55 new faculty members in 2014, a single-year record for the college. 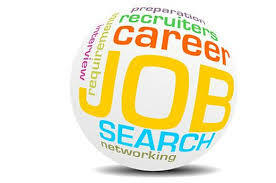 In addition to the new faculty members, 44 staff positions will be increased and three new positions added. While not all positions were increased, ones that directly impact student learning were given highest priority, Oakley said. The proposal will be addressed at the Board of Trustees meeting on April 28 and included in a preliminary College budget that will be considered by the Board on June 23. If approved, the plan will become effective July 1. 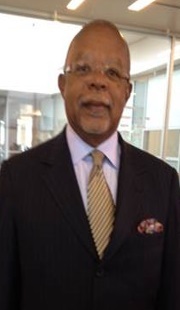 The Trade Tech Library lined up some filming for PBS, and as it turned out, their guest was one of BFSA’s favorite black intellectuals–Alphonse Fletcher University Professor and Director of the Hutchins Center for African and African American Research at Harvard University–Henry Louis Gates! Gates is an Emmy Award-winning filmmaker, literary scholar, journalist, cultural critic, and institution builder. He has written 17 books and created 14 documentary films, including Wonders of the African World, African American Lives, Black in Latin America, and Finding Your Roots, now in its second season on PBS. His six-part PBS documentary series, The African Americans: Many Rivers to Cross (2013), which he wrote, executive produced, and hosted, earned the News and Documentary Emmy Award for Outstanding Historical Program—Long Form, as well as the Peabody Award, Alfred I. duPont-Columbia University Award, and NAACP Image Award. Gates is editor-in-chief of TheRoot.com, a daily online magazine, while overseeing the Oxford African American Studies Center, the first comprehensive scholarly online resource in the field. In 2012, The Henry Louis Gates, Jr. Reader, a collection on his writings, was published. Gates’s latest book is Finding Your Roots: The Official Companion to the PBS Series, released by the University of North Carolina Press in 2014. Gates has directed the W.E.B. Institute for African and African American Research—now the Hutchins Center—since arriving at Harvard University in 1991, and during his first 15 years on campus, he chaired the Department of Afro-American Studies as it expanded into the Department of African and African American Studies with a full-fledged doctoral program. He also is a member of the American Academy of Arts and Letters and serves on a wide array of boards, including the New York Public Library, the NAACP Legal Defense and Educational Fund, the Aspen Institute, Jazz at Lincoln Center, the Whitney Museum of American Art, Library of America, and the Brookings Institution. He has chaired the Anisfield-Wolf Book Awards since 1995, and travels each September to Cleveland, Ohio, to lead a community celebration of the winners. He won the prize himself in 1989 for editing the 30 volumes of “The Schomburg Library of Nineteenth-Century Black Women Writers”.